Editor’s note: At the Citywide Summit on Nov 18th, many amazing ideas for shaping the future of urban Albuquerque were suggested and discussed. One idea which emerged was a proposal for car sharing in Albuquerque. Below is a detailed 20 year plan for car sharing in Albuquerque. If you’re interested in this issue, click here to follow “NM Car Share” on Facebook! Car Sharing in Albuquerque: Why Should We Care? Conventional vehicle ownership as we know it is rather uneconomical. A car, truck, or SUV is the largest or second largest asset most people have, and it sits unused 96% of its life, depreciating, with an average annual cost in the high four figures. Combined with all the other alternative transportation modes (e.g. transit, ride sharing, biking, walking, etc.) car sharing offers a credible, economical substitute to private car ownership. 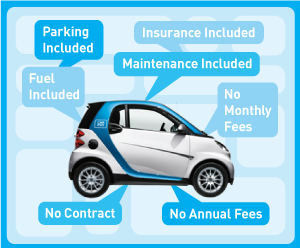 This image outlines many of the benefits fo car sharing. 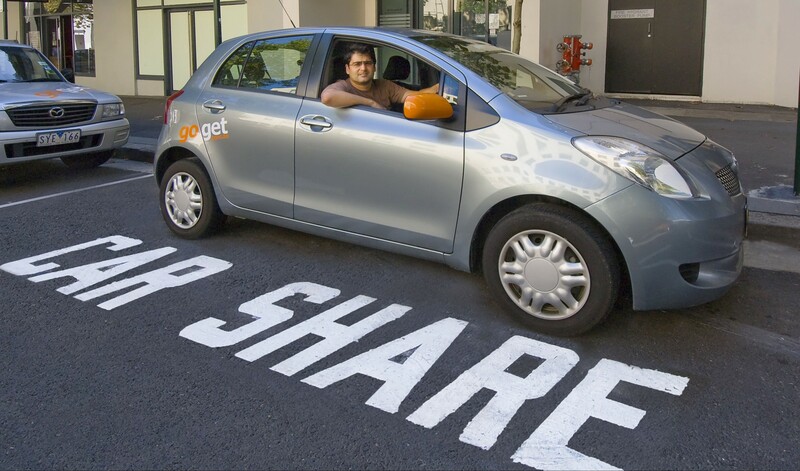 Car sharing provides short term access to a vehicle in your neighborhood without having to own a vehicle. Car share members can forego all the pitfalls of car ownership while having convenient access to a broad fleet of vehicles. Discrete quarter-hour pricing leads to discrete use of vehicles, encouraging efficient use and saving members dollars they can spend locally, instead of sending to out-of-state carmakers and oil companies. Safe, well-maintained, insured vehicles displace older, less safe, less fuel-efficient, often uninsured vehicles- and at a rate of one shared car to perhaps a dozen private cars, free up hundreds of square feet of parking. Car share vehicles typically have designated parking spaces in cities. A collection of these parking spaces is sometimes called a “pod”. Car share vehicles get high levels of use and are more likely to be run while warm, therefore emitting less air pollution. Plus, car sharing can introduce extremely efficient vehicles in substantial numbers, often offering members the chance to grow familiar with new technology – as in hybrid and battery-power – without the risk of purchase. 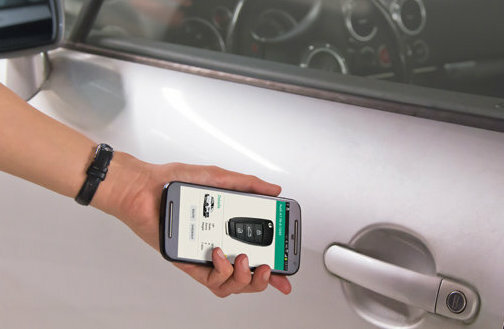 Smart phones or key fobs are typically used to unlock the vehicles, allowing customers to easily and quickly access them. At the Citywide Summit, we floated the topic of developing car sharing to its fullest potential in our region. That became the basis for a collaborative push to evaluate the region’s institutional fleet needs and to see how combining them along with public use can create the critical mass of members needed for effective car sharing, while saving scarce budget dollars and offering a new level of accountability of asset use. We had a meeting in early December 2017 attended by stakeholders from the City of Albuquerque, City Council, Bernalillo County, UNM, Mid- Region Council of Governments, and ABQ Ride. We heard from car sharing veterans in Boulder and Philadelphia about growing car sharing while saving millions of dollars of vehicle expense. Click here to watch that meeting.